On Freud’s "The Uncanny" explores Freud’s 1919 essay of the same name and elaboration of the concept of the uncanny and how others or ‘The Other’ can impact on our selves. 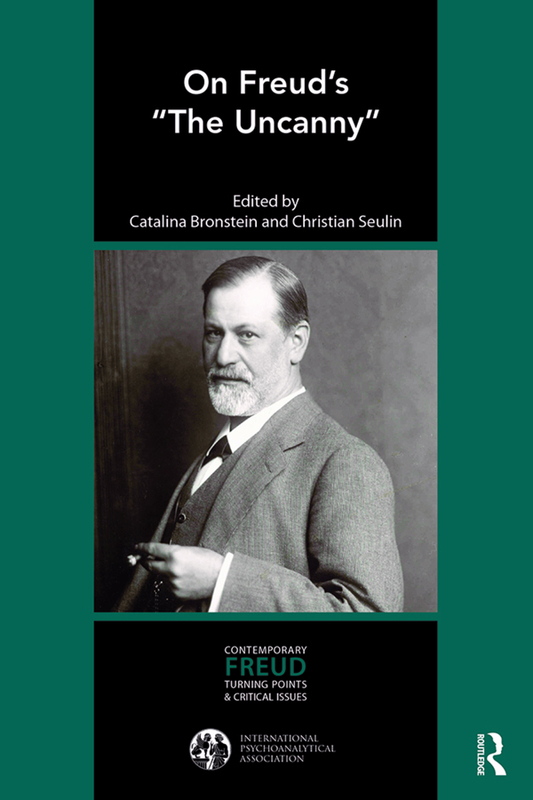 Catalina Bronstein and Christian Seulin bring together contributions from renowned psychoanalysts from different theoretical backgrounds, revisiting Freud’s ideas 100 years after they were first published providing new perspectives that can inform clinical practice as well as shape the teaching of psychoanalysis. Covering key topics such as drives, clinical work, the psychoanalytic frame, and the influence of Ferenczi, On Freud’s "The Uncanny" will be useful for anyone wishing to understand the continued importance of the uncanny in contemporary psychoanalysis. ‘The Uncanny or the Uncanny intimacy: if the Freudian Das Unheimliche brought problems to the French translations, the exploration of this specific kind of anxiety that is dread – provoked by the uncertainty of the boundaries and of the psychic "house" – first took Freud into the polysemy of language, before he explored the effects of the "double", splitting and the permutations of the egos. One hundred years after his seminal publication, the clinical and metapsychological richness of the Freudian text continues to produce offspring: the present book bears witness to this forcefully, specifically when it comes back to the differences concerning the determinism of the uncanny feeling, between animist beliefs and repressed representations suddenly brought to light. In the analytic situation, if the emergence of the Uncanny is variably interpreted by the authors, the identity wavering it provokes is precious when it indicates to the ego that it is no longer the master in his own house. "Eloge de l’inquiétant" (Praise of the Uncanny) wrote J.B. Pontalis.’-André Beetschen, former President of the APF (French Psychoanalytic Association). Catalina Bronstein is training and supervising analyst of the British Psychoanalytical Society, for which she is currently President. She is a child and adolescent and adult psychoanalyst and works at the Brent Adolescent Centre in London and in private practice. Bronstein is also Professor at the Psychoanalysis Unit, University College London. Christian Seulin, MD, is training and supervising psychoanalyst of the Paris Psychoanalytical Society (SPP) and a member of the International Psychoanalytical Association. He is former Secretary of the Executive Council of the Training Commission of the SPP and former President of the Lyon group of the SPP. He is living and practising in Lyon, France. He was editor as a member of the Publications Committee of the IPA between 2009 and 2017.